Soul singer Margie Joseph moved from Stax to Atlantic in 1972, and recorded this self-titled LP the following year. 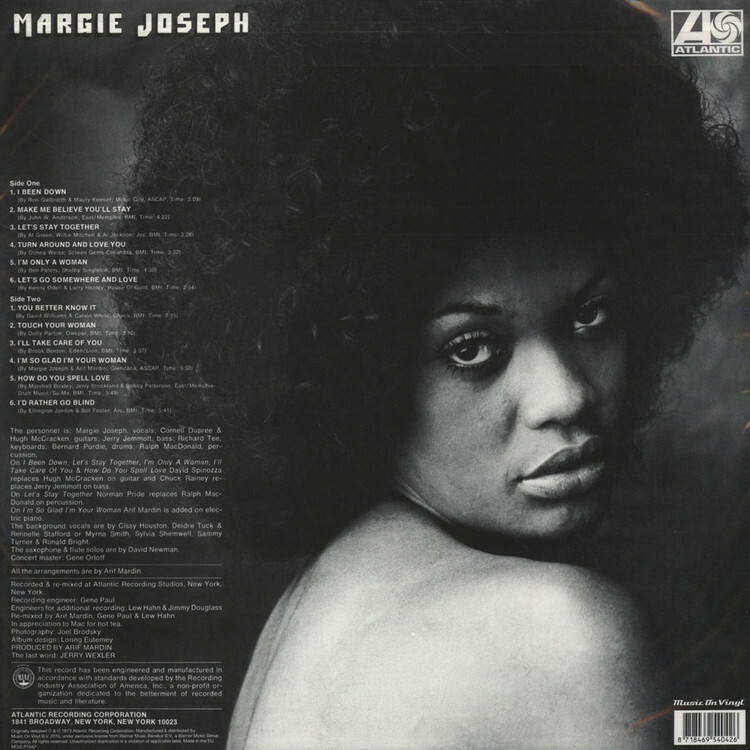 Produced by Arif Mardin, Margie Joseph offers an enjoyable mix of Northern and Southern soul styles. Much of the album is devoted to covers, and the songs that Joseph embraces range from Ellington Jordan's "I'd Rather Go Blind" and Al Green's "Let's Stay Together" to Brook Benton's "I'll Take Care of You".